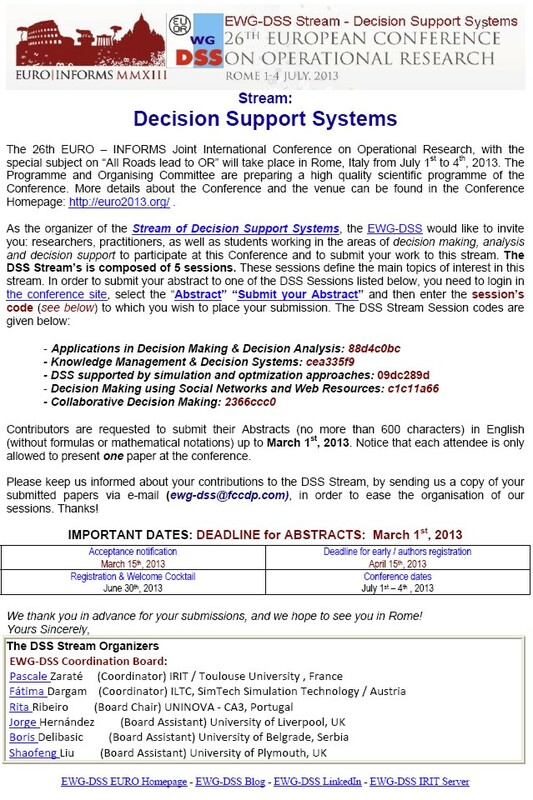 ICDSST 2015 on "Big Data Analytics for Decision Making"
Environmental Applications. University of Graz, Austria. October 17th-19th, 2013. Joint-organized by the EWG-DSS; EWG E-CUBE; EWG-MCSP; and EWG-ORAFM.